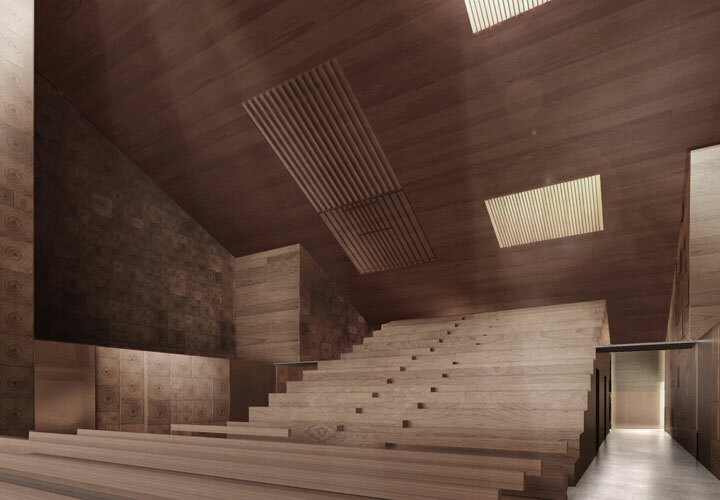 The Norwegian village of Vaaler was in need of a replacement for the village’s old wooden church, which burned down to the ground in 2009. 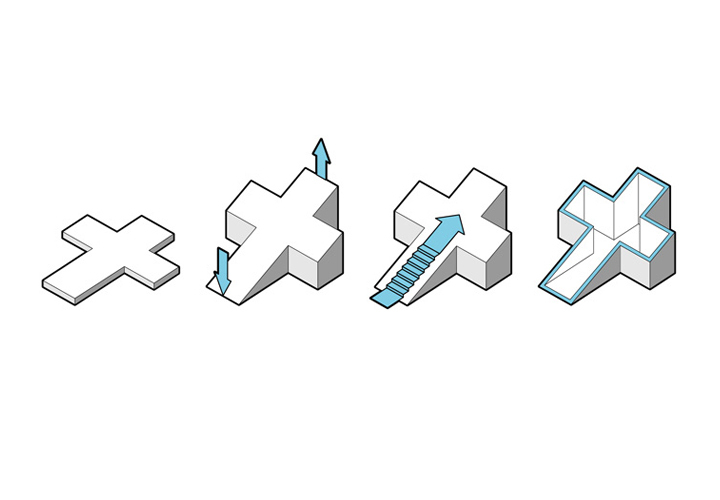 Our proposal is based on the most widespread symbol for the Christian church: the cross. 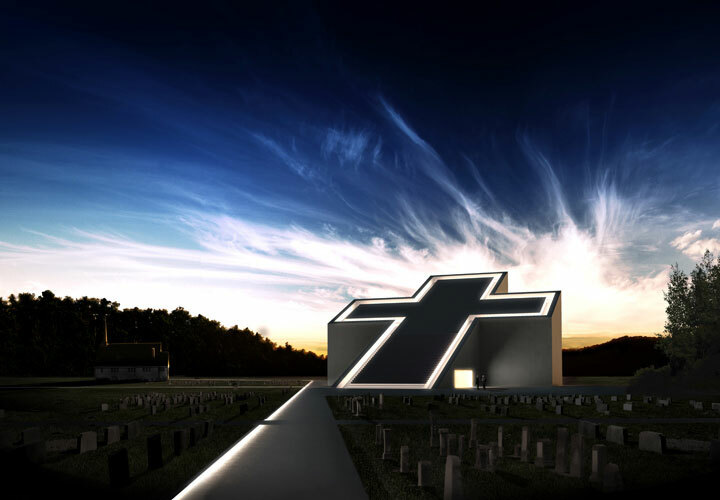 When the cross shape is tilted and the church’s roof forms a sloping plane the motif becomes visible at eye level as well as from the air, creating the same image from both points of view. 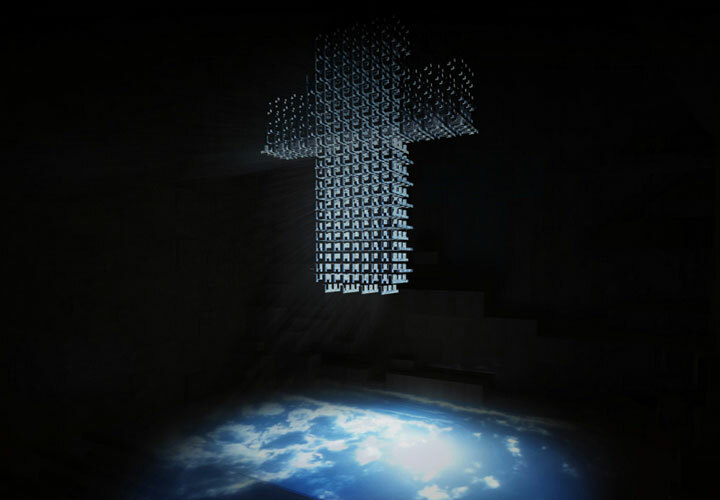 The building volume appears as a stairwell or a stairway to heaven – a pictorial metaphor that appears in several passages in the Bible and stands as a synonym for spiritual cognition. 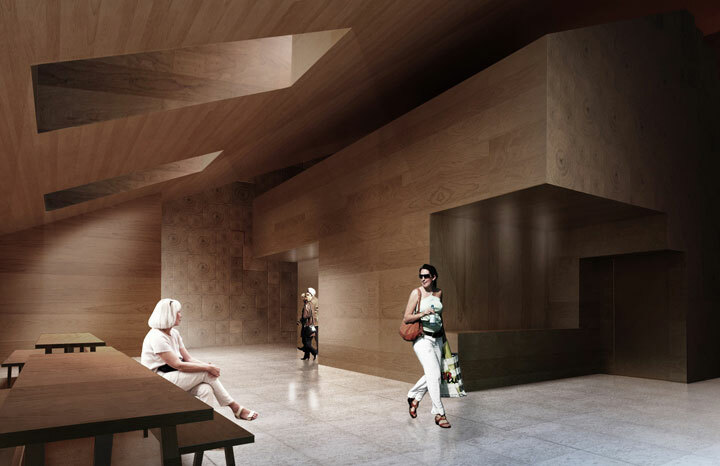 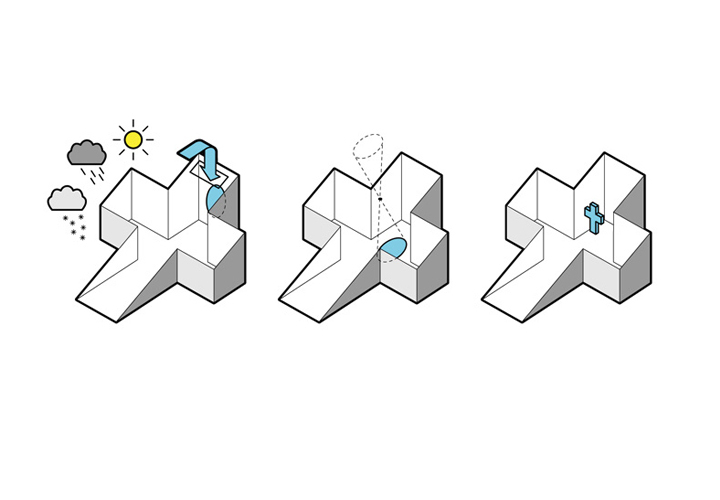 Light is a fundamental element in our proposal – in the plan layout and the orientation of the church as well as a spatial and atmospheric medium for artistic expression. 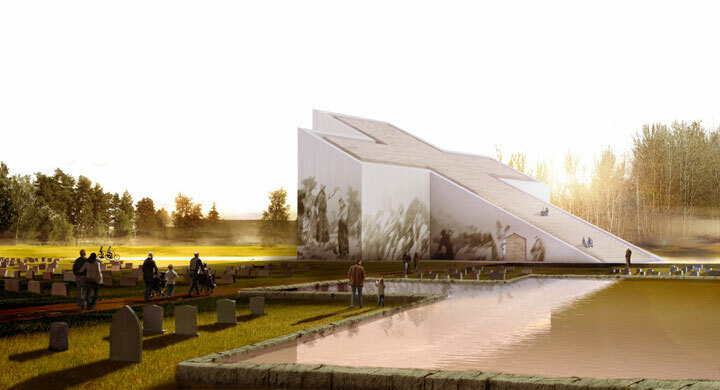 The design uses light – internally as well as externally – for the staging of cultural and church events. 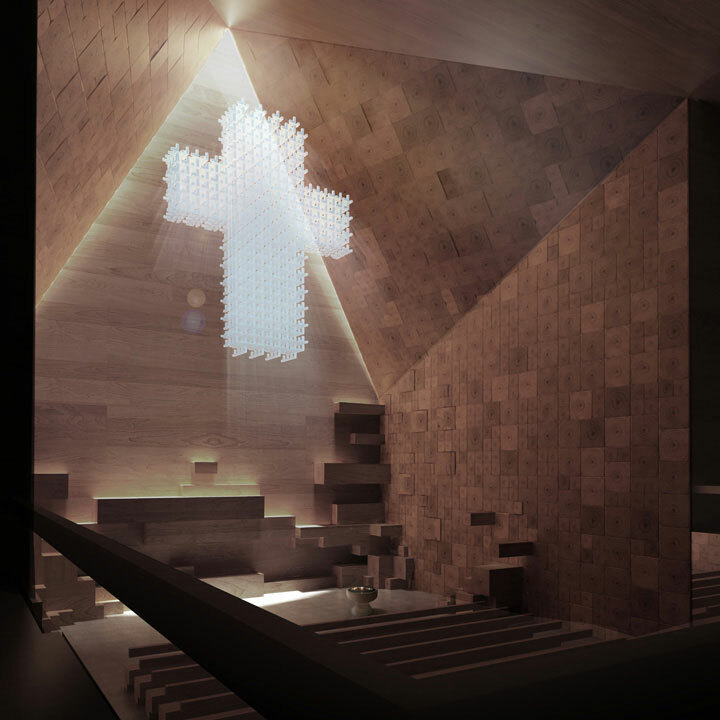 A series of incorporated techniques such as prisms, camera obscura and peg mirror capture and utilize natural light form the skylight to support the liturgical and ceremonial proceedings, thus creating an additional dimension of experience. 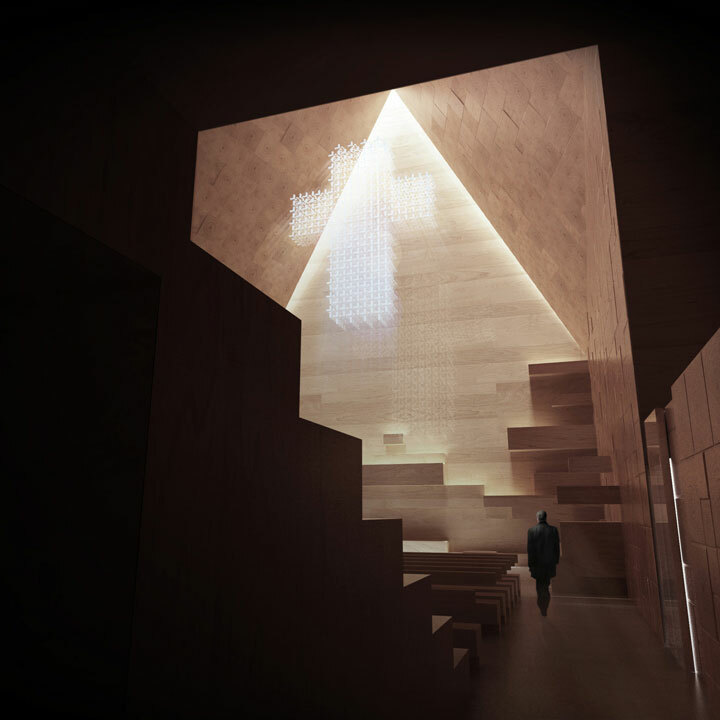 The incorporation of natural light as artistic element also means that the experience of the church space constantly changes depending on the season, time of day and type of weather.